by Donald Prothero Every year of the 20th century included many scientific breakthroughs and achievements, but few years were as important as the year 1915 — one hundred years ago this year. It seems odd that it stands out as such a watershed. World War I had broken out the previous August with the rapid German advance through the Low Countries and northern France and almost to Paris, then been beaten back by an Allied counteroffensive. By the beginning of 1915 the Allied and German lines across Belgium and northern France were deeply entrenched, and they would barely budge for three more long years of pointless slaughter. Yet despite these horrific events, science marched on. In physics, Einstein published his theory of general relativity, which gave us the concepts of space-time and warped space. His theory also successfully explained the peculiarities in the apparent motions of Mercury. (However, the paper was not widely read for a while because of wartime restrictions on circulating scientific publications). Ada Hitchins established the first radioactive decay series, showing that radium was a decay product of uranium. Pluto was photographed for the first time, although not yet recognized as a planet. Thomas Hunt Morgan demonstrated non-inherited genetic mutations in fruit flies, undermining the foundation of eugenics. The Nobel Prize in Physics went to the Braggs for their development of X-ray crystallography, which became important not only in geology but also eventually became the key to unlocking the structure of the DNA molecule and many other scientific discoveries. But 1915 was truly revolutionary in the geological sciences. 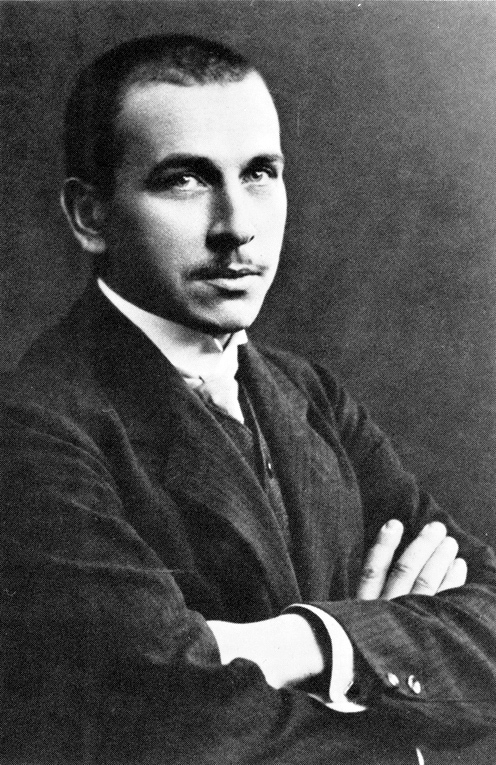 Not only did that year see the publication of some of the first radiometric dates establishing that the earth was many billions of years old, but perhaps the most important scientific achievement of all: the publication of Alfred Wegener’s Die Entstehung der Kontinente und Ozeane (The Origin of Continents and Oceans) . This work was the beginning of a true scientific revolution that transformed geology right down to its core, although the final stage of the revolution was not completed until the 1950s and even 1960s. Like many revolutionary works, it was ahead of its time, and widely scorned and rejected by those who were in scientific power. Wegener was an unlikely revolutionary for the geological sciences. Born in Berlin in 1880, he was the son of a clergyman, not a scientist. He initially studied Classics before switching to astronomy, meteorology and climatology, but never had much formal training in geology. By 1905 he was working at a meteorological observatory, and in 1906 he organized and led the first of four expeditions to Greenland to understand climate in polar regions. He was an instructor in meteorology at the University of Marburg by 1908, where he worked with the legendary climatologist Wladimir Köppen (whose climate classification scheme is still used today, as I taught my Meteorology class last semester), and in 1913 married Köppen’s daughter. That same year he ran his second Greenland expedition and spent the winter on the ice, and nearly starved to death before he and his companion were rescued. When war broke out in 1914, he was drafted, as was nearly every able-bodied young man in Germany at the time. After being wounded twice (once in the neck) in the infantry at the start of the war, the German High Command decided he was unfit to be trench fodder. They sent him to the army weather service, where he traveled between weather stations all over German-held Europe. Despite all this traveling and army work, he managed to finish writing his book (which he had started in 1912) while he was serving in the army, which was published late in 1915. The book had little impact because of the wartime restrictions, but Wegener published another 20 papers in meteorology and climatology before the war ended. After the war, he obtained a position at the German Naval Observatory in Hamburg, then at the University of Hamburg, and finally accepted a secure post at the University of Graz. During this time, he wrote an influential book with his father-in-law on the climates of the geological past. But his ideas about drifting continents were not widely read or accepted yet, especially not in the geological community in Europe and the U.S. In 1926, he presented them at the meeting of the American Association of Petroleum Geologists in New York City, where he was rejected by everyone except the chairman who had invited him. His ideas continued to be scorned by geologists, but Wegener was still working hard, gathering data in Greenland in 1929. In 1930, he led his fourth and last big expedition to Greenland, the largest he had ever mounted, with propeller-driven ice sleds and much innovative equipment. In November 1930, he and a partner were returning from a supply run to their remote camp in the center of the Greenland ice sheet when they ran out of food and got into bad weather. Wegener died at age 50, and was buried on the Greenland ice sheet, where his body still rests today under many feet of ice. He never lived to see any support for his revolutionary ideas, which would not come for another 25 years. Wegener’s book was a masterful compilation of all the evidence available at the time. Since the first decent maps of the Atlantic Ocean in the 1500s, people had speculated whether Africa and South America fit together, but Wegener showed the fit also included India, Madagascar, Australia and Antarctica as well. As a climatologist, he was particularly impressed by the way certain deposits are strongly controlled by climate and latitude: ice caps on the poles, rain forests on the tropics, and desert deposits in the mid-latitude high-pressure belt between 10° and 40° north and south of the equator. But when you went back to the Permian Period (250–300 m.y. ago), those deposits made no sense on a modern globe. The south polar ice sheets extended from South America and Africa and apparently stretched across the equator to India, which is a climatological absurdity. Only if you put the continents back into their Permian configuration as part of a single supercontinent, Pangea (“all lands”), did they make sense. If the continents had not moved, then the bedrock scratches that ran from Permian glaciers in Africa and matched those in South America would require the glacier to jump into the Atlantic, flow in a straight line from Africa to Brazil, and then jump out of the ocean! Likewise, all the ancient Permian desert deposits and coal swamps of tropical Permian rain forests only made sense if they were put back in their Pangea locations, not their modern latitudes. Even the ancient Precambrian bedrock in South America and Africa matched precisely like pieces of a jigsaw puzzle. Clinching all this was the evidence from the Permian fossils. There were distinctive extinct seed ferns known as Glossopteris found on all the continents of the southern landmass known as Gondwana. There were small reptiles like Mesosaurus, found in lake beds in Brazil and South Africa, and protomammals like the bulldog-sized beaked herbivore Lystrosaurus and the bear-like predator Cynognathus, that could never have swum across the modern Atlantic Ocean. To Wegener (and to the modern geologist), this evidence should have been clear and conclusive: the continents drift apart like the ice floes Wegener knew so well. If the evidence was so solid, why was he despised and rejected? Why did geologists treat his ideas as fringe, and call him a crackpot for another 45 years after his book was published? Part of it had nothing to do with evidence, and everything to do with the sociology of science. First of all, Wegener was not a formally-trained geologist, and there is natural reluctance to accept ideas from outside your community that appear to violate your basic assumptions, such as the fixity of continents. I myself have blogged about a number of amateurs who propose crackpot ideas, like the expanding earth  or crazy notions about the earth’s magnetic field , clearly ignorant of geology and unable to see why their ideas have been rejected based on good evidence. Even more importantly, Wegener’s evidence came mostly from the Southern Hemisphere, yet almost all the world’s geologists back then lived in Europe or North America, and relatively few had ever traveled to South Africa or Brazil. Naturally, the evidence is much more persuasive if you can see it in person, rather than read it in type and crummy black-and-white photos that were normal for journals back then. Indeed, Wegener’s biggest boosters, such as South African geologist Alexander du Toit, were mostly in the Southern Hemisphere, and could see the evidence firsthand. Another supporter was British geologist Arthur Holmes, known as the “Father of the Geological Timescale” for his pioneering work in radiometric dating in 1913–1915. He embraced Wegener’s ideas — but then he had worked as a geologist in Africa before returning to England. Holmes boldly published diagrams showing drifting continents and mantle convection for the first time in his widely used geology textbooks in the 1920s, 40 years before the geological community came to accept the notion. But it was not all due to sociology. Wegener had no mechanism to explain how continents drifted, and the ideas he proposed (such as centrifugal force) weren’t very plausible. Geologists argued that if the continents had plowed across the ocean basins, there should be huge areas of oceanic crust crumpled up on their leading edges like the snow on a snowplow blade — and such deposits did not exist. Meanwhile, they dismissed the matches in rocks across the continents as inconclusive, and concocted fantastic land bridges to explain how animals could have gotten across the Atlantic Ocean. They continued to denigrate Wegener and held his ideas up for ridicule for decades. In 1949, the leading American paleontologist George Gaylord Simpson had published numerous papers arguing that the fossils did not require continental drift. His institution, the American Museum of Natural History, held a big symposium dismissing all the evidence of moving continents, the proceedings of which were published in 1952 . Ironically, as this heap of scorn reached its acme, evidence was coming from an unexpected direction: the bottom of the ocean. Both Wegener and his critics were totally ignorant of what the oceanic crust was really like, and the answers did not come until after World War II, when modern marine geology was born. By the late 1940s and 1950s, several oceanographic institutes had vessels routinely criss-crossing the world’s oceans, getting detailed surveys of seafloor depth, seismic reflection profiles of seafloor structure, gravity and magnetic profiles, and routinely collecting sediment cores everywhere they went. By the late 1950s, we had our first real glimpse of what 70% of the earth’s surface actually looked like, thanks to the detailed seafloor maps by Marie Tharp and Bruce Heezen . Meanwhile, paleomagnetic data gathered on land showed that the continents had moved with respect to the poles, and established the flip-flops of the earth’s magnetic field, which allowed the final nail in the coffin: the proof of seafloor spreading by Fred Vine and Drummond Matthews in 1963. It turned out that Wegener’s critics were wrong: the continents do drift around the globe, but they don’t crumple up the oceanic crust ahead of them because most of it is subducted beneath the plates. I feel fortunate in having lived to witness this scientific revolution. It began about the time I was born, and when I was an undergraduate in 1972–1976, geology instruction around the country was just beginning to make the transition from old ideas to plate tectonics. In graduate school at Lamont-Doherty Geological Observatory and Columbia University, I was taught by many of the pioneers of plate tectonics: Neil Opdyke, who developed magnetic stratigraphy in ocean cores; Lynn Sykes, who confirmed plate tectonics through seismology; Bill Ryan, pioneer of marine geology who helped discover that the Mediterranean was a desert 6 m.y. ago; Walter Pitman, who figured out the complex pattern of magnetic stripes on the Pacific sea floor; Wally Broecker, who coined the term “global warming” and was a giant in both oceanography and climate change; Jim Hays, who helped discover the causes of the Ice Ages; and Bruce Heezen and Marie Tharp, who single-handedly mapped the entire ocean floor. They were the generation that pushed the scientific revolution to its conclusion. But it all began a century ago with Alfred Wegener and the annus mirabilis 1915. Donald Prothero is a paleontologist, geologist, and author who specializes in mammalian paleontology. His research has been in the field of magnetostratigraphy, a technique to date rock layers of the Cenozoic era and its use to date the climate changes which occurred 30-40 million years ago. He is the author or editor of more than 30 books and over 250 scientific papers, including five geology textbooks. His most recent book is Reality Check: How Science Deniers Threaten Our Future. The Origin of Continents and Oceans, by Alfred Wegener. Cracking Earth and crackpot ideas, by Donald Prothero, Skepticblog, 19 September 2012. Magnetic myths, by Donald Prothero, Skepticblog, 26 December 2012. The problem of land connections across the South Atlantic, with special reference to the Mesozoic, Bulletin of the AMNH, 1952. The woman who saw beneath oceans, by Donald Prothero, Skepticblog, 14 May 2014. Two points on this. First, the implication that certain philosophers are straying “too far” into empirical reality. This sounds unacceptably prescriptive to me, and not unlike the sort of thing that church leaders say in dealing with doctrinally wayward clerics or theologians. Secondly, your “culturally inherited conceptual structures” are not just cultural but depend on how the world works and on our biology, etc. Logic is not cultural in the way, say, that art is cultural. It does not vary from culture to culture in the way that various art forms do. Reality? I assume you mean our conception of reality. But again, it is closely tied to our biology, no? Your examples constitute a very mixed bag! Yes, physics is now different. There are whole sub-fields like string theory that are detached from experiment. That was not true 50 years ago. Theoretical work tended to be done in support of viable theories, or as pure mathematics. But nothing like string theory. Truth is a single absolute, much more simple than thought, that One day will redefine justice, unite science and religion, mathematically equate the Universe, (wouldn’t Einstein be pleased?) resolve the probability problem of QM, (reinterpret Copenhagen) define truth for Socrates, Teach Plato real, and not only allow us to see the light at the end of the tunnel, but rather be the light, and set us free! Free at last, just for Dr. King. By philosophers straying too far into the empirical I mean the case when philosophers mistakenly or unwittingly hinge their theorizing on propositions that are properly a matter of empirical verification. An historical example is the assumption on the part of 19th-century metaphysicians that figuring out the nature of space and time was within the scope of philosophy. Such mistakes are complementary to the mistake in science of assuming answers to conceptual questions that are inherently philosophical, such as the case of basing empirical research on questionable theories of morality or happiness. Clarifying the distinction between the conceptual and the empirical has been a preoccupation of the Analytic tradition, and, I think, one of its great contributions. This is in part what motivated the Linguistic Turn, I believe: the focus on language helped to clarify important epistemic distinctions among questions. To some extent, contemporary scientism is a Frankenstein-type resurrection of the corpse of Logical Positivism. Or perhaps zombies would be more appropriate: the philosophical walking dead. They are ontologically dependent in that if the world didn’t work and we had no biology, these structures likely would not exist. But this doesn’t mean epistemically that we can answer relevant questions by examining how the world works or our biology. Missing this distinction will be regarded as one of the emblematic fallacies of present-day scientism in future history books. As I suggested, the scope of philosophy rests on these structures not being entirely a matter of “how the world works” and biology. One cannot develop a theory of justice on the basis of physics, psychology, or sociology, for instance. It’s a philosophical matter. Same with “reality.” Science tells us how reality is, but concepts such as “real” and “exists” are a matter for philosophical consideration. Again, our conception of reality does depend ontologically on our biology in that if we didn’t have a biology we wouldn’t have a conception of reality, but there’s a limit to how far we can go in clarifying our conceptions of reality by examining our biology. This is an interesting point. I think it’s a valid distinction but not one that should be of great importance to philosophical analysis. As an anti-Platonist, I see logic as nothing more than a part of the structure of language. It’s a conceptual system that can be specified in its primary form by replacing names and substantive predicates in language with blanks, or place-holder symbols. Art on the other hand is just a topic of language. Still, it is a conceptual system, and clarifying and refining it in the philosophical sense is formally not much different from doing the same with logic. Maybe so, but we may never know. We (and our descendants) will likely still be the inventors of a new babel of languages for the sciences, philosophy, art, politics. No one of them is privileged. Each one has its own measure of Truth. Currently physics treats time and space as measurements, of duration and distance, completely ignoring what is actually being measured. The three spatial dimensions are really just the xyz coordinate system and as such, are a mapping device and are no more foundational to space, than longitude, latitude and altitude are foundational to the surface of this planet. Multiple such frames can be used to define the same space, with no universal frame, beyond the state of equilibrium implicit in clocks slowing in moving frames, as the frame with the fastest clock would be closest to this state of equilibrium. Space is the basis of geometry, not an effect of it. Infinite dimensionless points cannot create dimensionality. Zero times infinity is still zero. So there is quite a lot of room for philosophy to go back and examine the assumptions science takes for granted. And Paul Paolini suggests: “[culturally inherited conceptual structures] are ontologically dependent in that if the world didn’t work and we had no biology, these structures likely would not exist. But this doesn’t mean epistemically that we can answer relevant questions by examining how the world works or our biology. Missing this distinction will be regarded as one of the emblematic fallacies of present-day scientism in future history books. THIS is exactly the bone of contention between the scientismists and the pure metaphysicians. Can they, the pure idealists, pull something out of nowhere and then reorder reality, as it is, on the basis of that? The answer is yes, but only in the most contingent, trivial and ethereal way. Art, music and fiction do not count since their appeal is firmly rooted in our biology. Rather, it seems that (almost) ALL useful knowledge is a combination of ‘physics’ and ‘metaphysics: data and interpretation. 1. Each on of us is genetically unique. 2. Each has a different developmental history. 4. Our cognitions are therefore not as clear and distinct as they seem to us, as has been demonstrated. For those interested in the mostly unexplored universe of the ‘unconscious’, I found Handbook of Emotions, Lewis, Havilland-Jones, Barrett, eds., extremely informative. An excellent discussion of whether physicists are capable of coming up with valid knowledge without the help of pure metaphysicians. The scientismists are not giving in, despite skepticism of deep thinkers. arrived at by working scientists as much as anyone ok, I’m seeing that as a premise. Thus the “scientific method” is itself a product of science I don’t see that as following, maybe change ‘a product of science’ to something like ‘a product of science and other things’. and, further it is continually being re-thought and re-worked by scientists I also don’t see that as following, needs to be changed to something like ‘reworked by scientist and others’. (Philosophers then comment on that, rather than originating it) super non-sequitur. I’ve been getting acquainted with my new laptop and its trackpad for the past 6 or 7 weeks and a side effect of this has been that I’ve inadvertently ‘Liked’ more than a couple of comments. Nothing I really disagree with, and I wasn’t going to say anything, but I just realized I ‘Liked’ one of my own too. I do appreciate your comment to Mark English above as a practical and sensible observation of scientists and philosophers going to the other side and thus failing. Sure. But then I wonder if these “science” and “philosophy” categories that we humans have invented, can also distort things for us. Unless I’m mistaken, you’re not actually a dualist, and thus you do carry the belief that all of reality has a logical connection to itself? So if science shall be one side of this circle (including physics, biology…) and philosophy the other (including metaphysics, epistemology…) then what shall we do about the parts where they must inevitably meet (yes assuming that you do see a non-dualist connection)? Must these areas illustrate discontinuity and fighting between the two halves of the circle? Or perhaps to the enlightenment of all, might they indeed be “completed”? As a non-dualist, I certainly hope for such continuity! Perhaps that “scilosophy” term which I invented here in jest, isn’t quite as ridiculous as I meant it to be! I realize that you’re out of comments for this one, though I’m certainly available here. You concede my point about a crucial difference between logic and art only to assert that it is “not one that should be of great importance to philosophical analysis.” Your subsequent explanation is not convincing however. This is not clear. We can talk about art, but art is not *just* a topic of language, obviously. Do you mean that art is not language? Frankly, I can’t make sense of this. It looks like you are trying to make these concepts fit into a preconceived schema. The fact is that the empirical and the conceptual (as, say, data and interpretation) work together all the time, in science and in ordinary life. You seem to want not just to distinguish one from the other but to separate them somehow (and to assign the conceptual to philosophy). Philosophical thinking and discussion can play an important clarificatory role, but its value decreases, in my view, to the extent that it seeks to keep itself distinct from other human activities. The other thing I’ll mention here is your curious attitude to intellectual history. Maybe future historians will say what you say they are going to say, maybe not; but even if you could justify your claims in some way (I don’t see how! ), it would settle nothing. Intellectual history is, I think, a worthwhile pursuit but it is intrinsically ideological and value-driven. It’s not totally subjective, but it has a significant subjective component. There is — there can be — no One True Narrative. To think otherwise is to profoundly misunderstand both the nature of history and human psychology. Logical empiricism was an important strand of 20th-century thought. Some of us have a more positive attitude to it than others; and, you’re right, elements of it survive. But your talk about the ‘walking dead’, etc., like your claim about future historians, is merely rhetoric. All it says to me is that you’ve tied yourself irrevocably to a particular narrative — and this is always, in my opinion, a very dangerous thing to do.